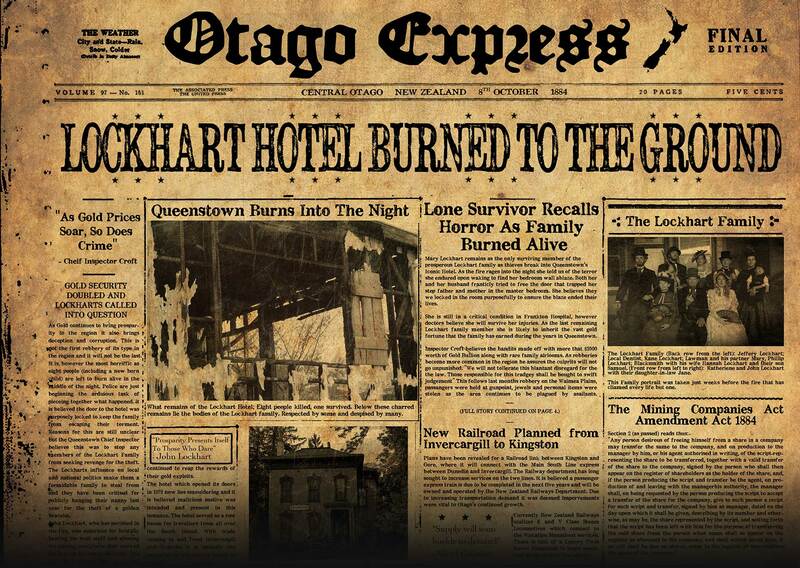 It has been 15 years since the infamous Lockhart Family Hotel burned to the ground and the mystery remains of who set the fire ablaze that was to kill 3 generations of the Lockhart Family. Mary Lockhart was the only surviving member of the family to live through the night and yet it would seem she has now succumb to the hotels dark history. Police investigated the hotel following reports this week of screaming and crying from within the building. When police attempted to contact Mary they were unable to ascertain her whereabouts. Upon entering the hotel they found it deserted and in disrepair. Scratches lined the walls, dust covered everything and there was a foul stench in the air. “It was like no one had lived inside for years” Inspector Davids recalls. Locals used to see Mary making weekly visits to the market dressed in black as it would seem she was still mourning her loss over a decade later. The mystery continues with no sign of Ms. Lockhart in months. Curiously though all the beds in the hotel were made and silverware set for an evening meal. Inspector Davids states “Although there was no sign of forced entry or misconduct we are not ruling anything out. We do not need more superstition clouding our investigation, but the fact of the matter is, we don’t know what has happened here, it is very strange indeed” Police are asking if you see Miss Lockhart to contact them. Ms. Lockhart’s body was never found. A coffin was laid in her room for the community to pay their respects. 1863, a year of greed, gold and guilt. The hotel fire left cursed bodies in the ashes but the structure wasn’t the only thing bought back to life. Some say the screams of the dead could be heard by the living. Watch the video and explore the Lockhart Legend.